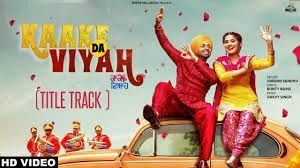 Please note Kaake Da Viyah (Punjabi) Movie occurred in past. A guy's family wants him to get married but it is harder than he thought. On one hand, his grandmother wants him to get married to a girl of her choice, and on the other, his mother is eager to select a girl for him. On top of that, he is already in love with a girl. His dilemma of being stuck between three women forms the crux of the story.